45 New Player Additions & Team Changes to the Signing/Verbal Database! Kaitlyn Lim, an outfielder with the Irvine Sting, signed with Stanford. Photo: Stanford Softball. Signing Day is always crazy and this week we focused on going through all the Power 5 Conference schools and checking the releases on the universities' websites with what we had in our system. As always, there were surprises as previously committed players ended up at different schools--largely due to coaching changes at schools such as Oregon, Iowa, Missouri, Virginia Tech and others. Then there were previously unknown commits and we had had more than three dozen of those impacting schools such as Arizona State, Auburn, Boston College, Cal-Berkeley, Florida, Georgia, Georgia Tech, Indiana, Minnesota, Missouri, North Carolina, North Carolina State, Oklahoma State, Texas, Texas A&M, Virginia, Virginia Tech and many others! 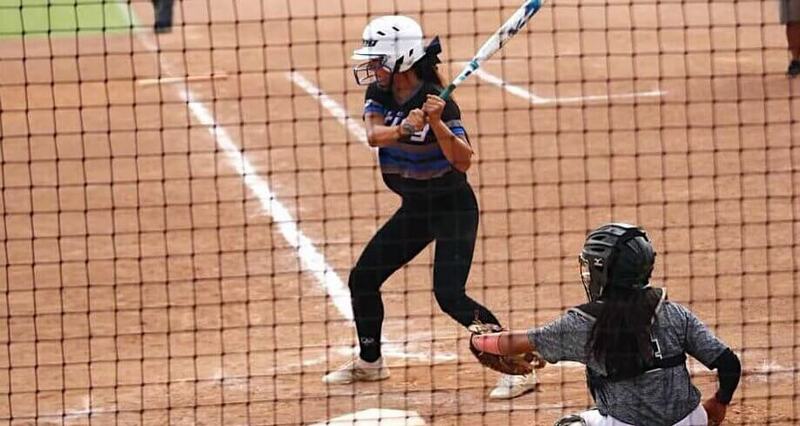 One of those was our Tweet of the Week, which this week goes to Kenley Hawk, a 2019 pitcher/outfielder who was a three-time Arkansas All-State honoree. She was the first of eight to sign with Mississippi State and had a nice video of her signing in her tweet!